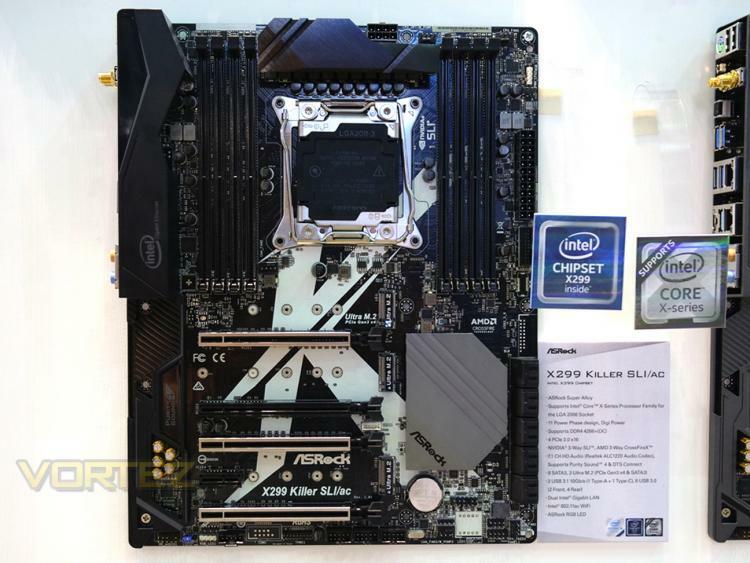 ASRock at Computex 2017 debuts its new Intel X299 Series motherboards for the latest Intel Core X-Series processors along with their new AMD X399 motherboards for the new AMD Threadripper Series processors. 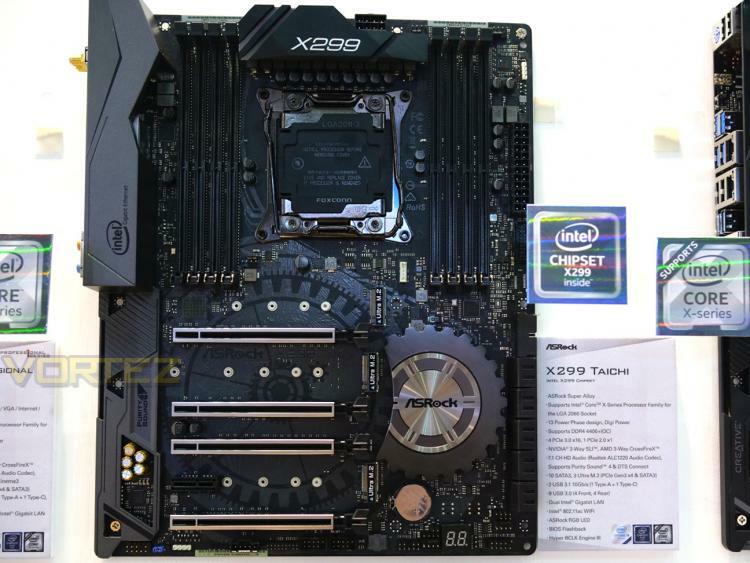 The ASRock Fatal1ty X299 Professional Gaming i9 motherboard is the brand’s Intel X299 flagship motherboard. 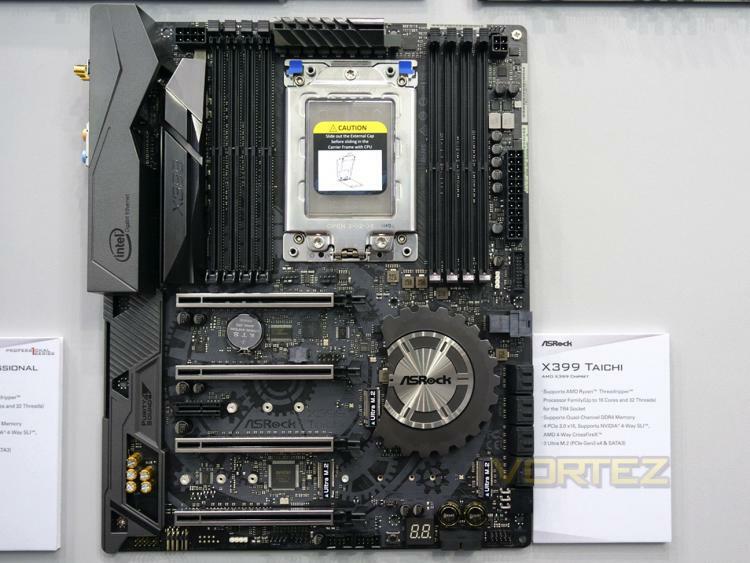 It is the world’s first motherboard to feature the Aquantia AQtion 10Gb/s LAN solution, for extreme internet bandwidth and responsive gaming. 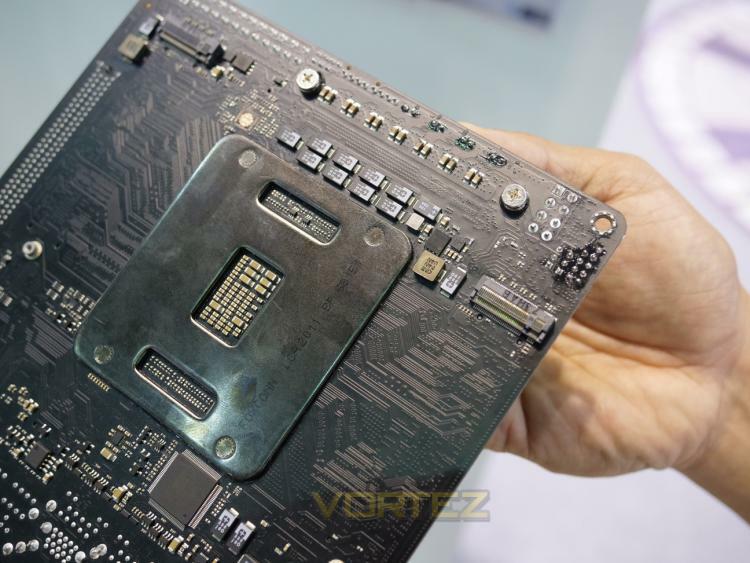 It also packs a unique USB 3.1 Type-C on-board header which offers USB power delivery protocol to supply up to 12V/3A of power output for charging portable devices. 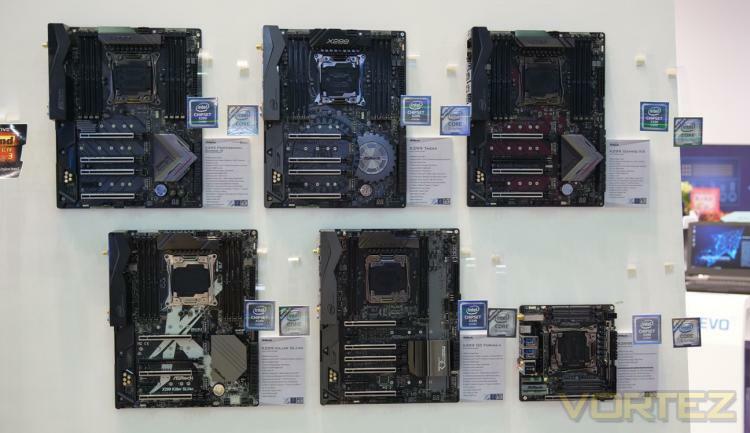 Other Intel X299 Motherboards showcased at Computex 2017 are as follows. 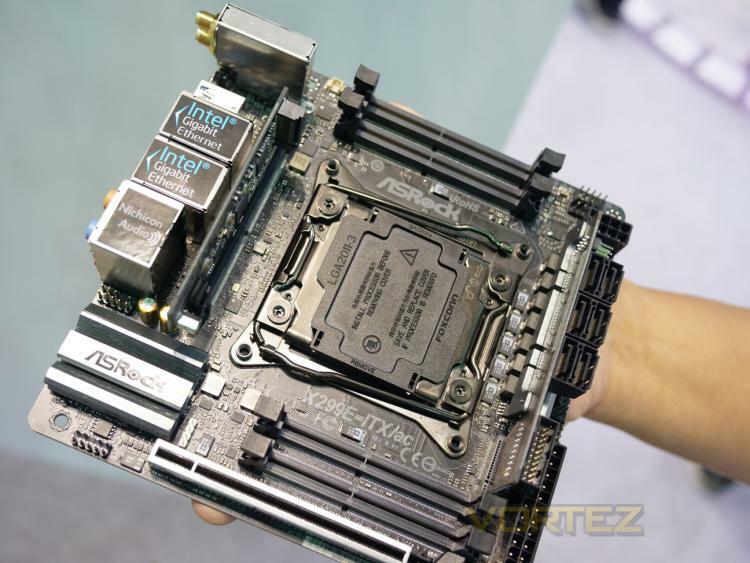 We also got a closer look at ASRock’s Intel X299 mini-ITX offering, the ASRock X299E-ITX/AC Motherboard. 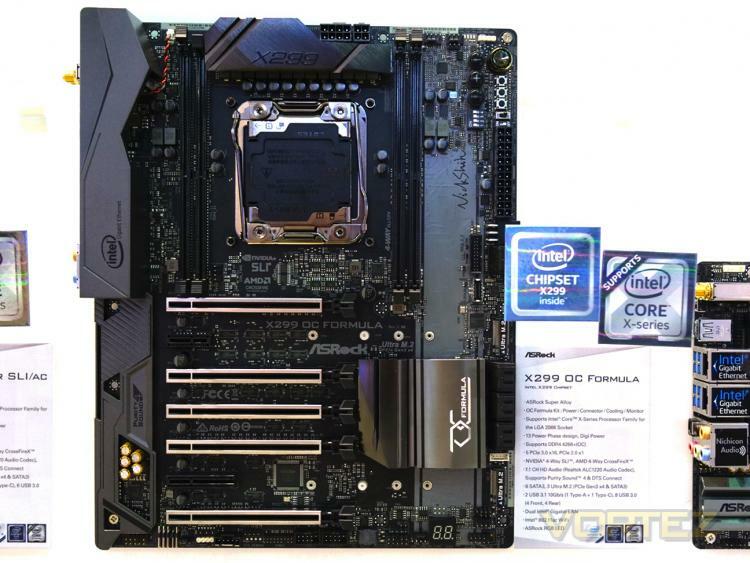 It uses DDR4 SODIMM memory modules and has an M.2 slot at the back of the motherboard. 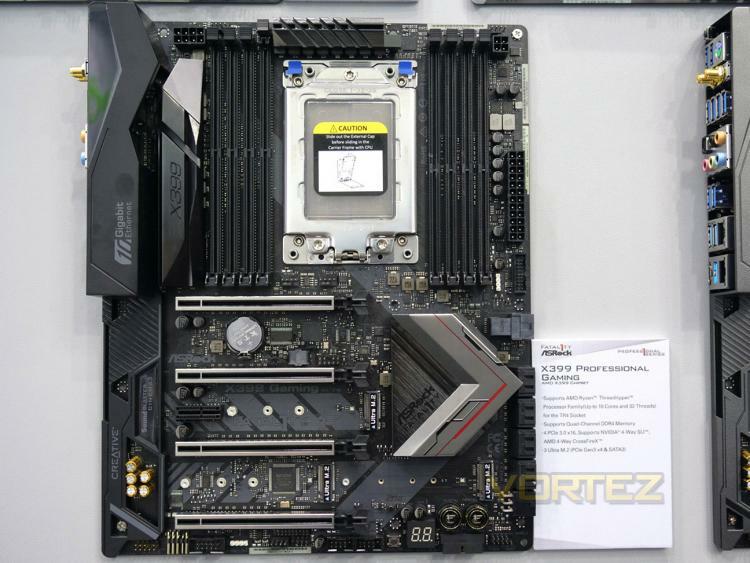 ASRock also presents two models for the AMD X399 Threadripper motherboards – the ASRock X399 Professional Gaming and ASRock X399 Taichi. 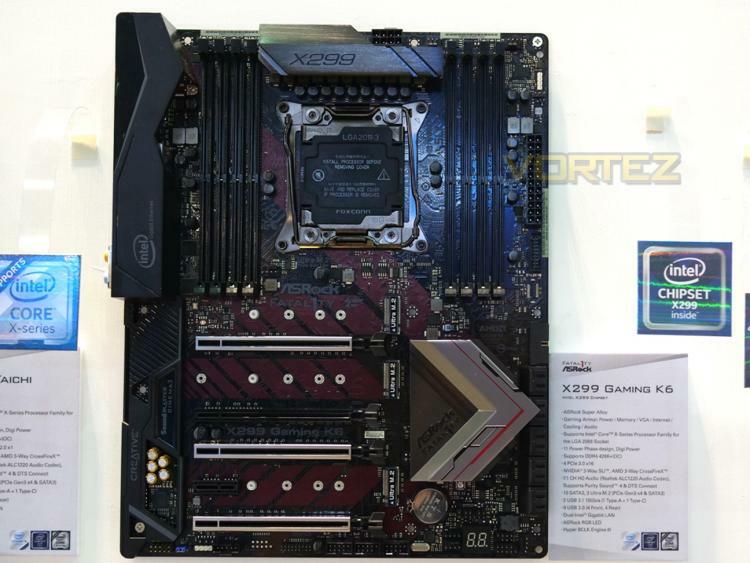 More details are yet to be released about these motherboards. 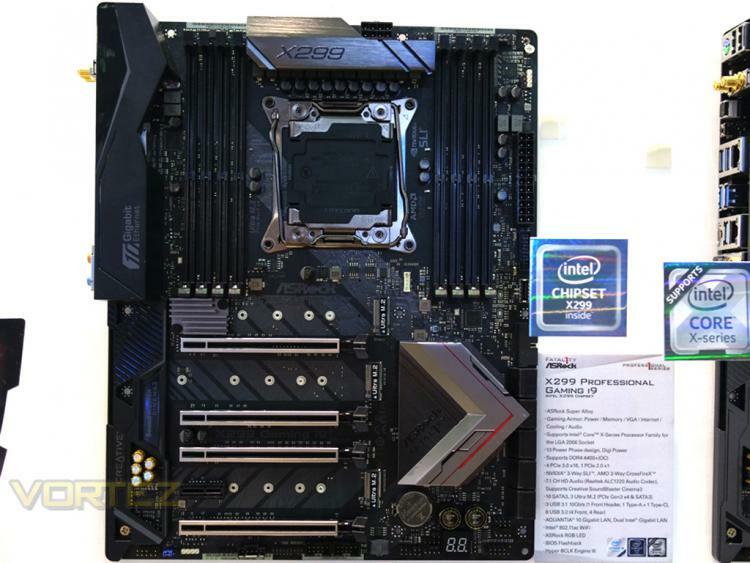 ASRock also presents it mini ITX form factor offerings for the AMD AM4 socket with the X370 Gaming-ITX/AC and AB350 Gaming-ITX/AC motherboards. 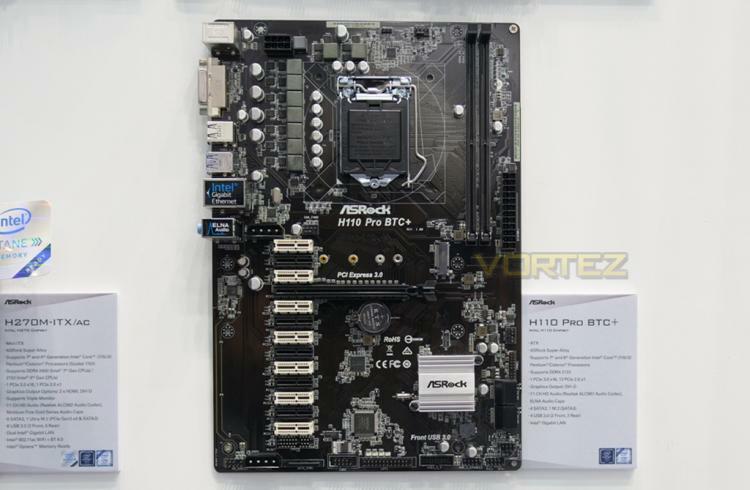 Lastly, ASRock presents its Crypto-Mining motherboard model, the H110 PRO BTC+. 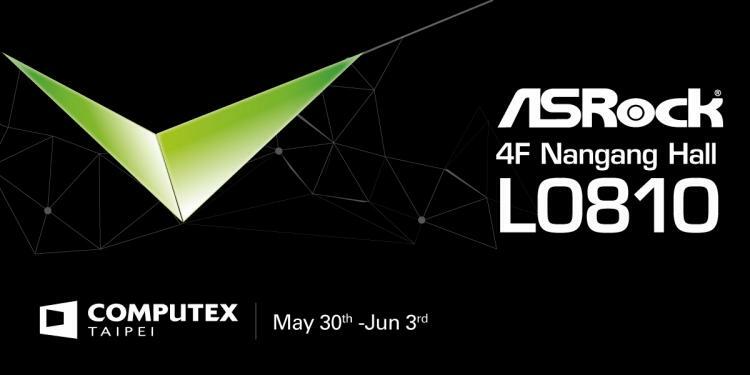 For other ASRock products featured at the Computex 2017, visit the ASRock website here.